If you are struggling to choose one of the many email marketing platforms, then don’t worry. I have you covered. I am going to share the fast-growing ConvertKit versus MailChimp. I’ve used both and at the end of this video you are going to find out which one my favorite is and why… and if you want to earn a more media exposure without spending any money on ads, then make sure you subscribe to this channel where I posted videos just like this one every Thursday. 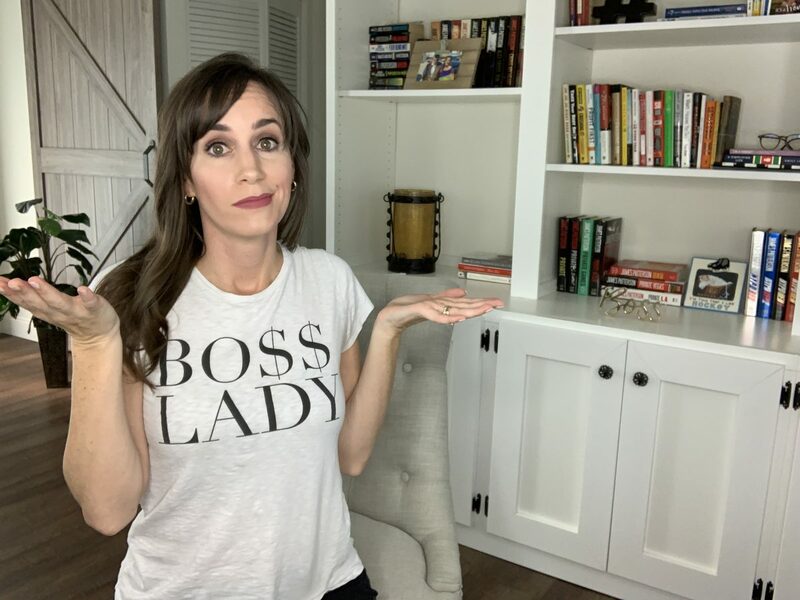 Hello, my name is Christina Nicholson and if you are new here I have worked with businesses all over the world to build them exposure, get them visibility and more authority without spending any money on advertising… and of course, you need email to do it. So let’s break down ConvertKit versus MailChimp. Let’s break down ConvertKit and see what it offers. It includes lead forms and pages so you can collect email addresses through an opt-in. It also provides trackable data like opt-in conversions, email open rates, and click-through rates. Simple and powerful automation are awesome included, so if somebody does this and then they get that. You can also set up email sequences so you can literally just set it and forget it and know that it’s running in the background while you do other things. You can also organize and tag subscribers so you know the right person is getting the right thing at the right time. It also integrates very easily with other online platforms like WordPress, Shopify and Teachable, for example. Now before I get into the features of MailChimp, I want to know which one you are using or which one you’re thinking about using. Again, I’ve used both. I started with MailChimp. I am now with ConvertKit and I am going to tell you why after I go through the features of MailChimp, but first I want to know which one are you on now or which one are you thinking of switching to and why. Let me know why. I’m interested. Now let’s look at what MailChimp offers. Now. At this point, it really is almost like comparing apples to oranges. MailChimp started as an email software, but now they have grown to so much more. Now they’re doing all the things, even Facebook ads, and Instagram ads, but for the purpose of this video, we are just going to look at what they do as far as email marketing goes. So with MailChimp, yes, the landing pages are included. They also have the trackable data just like ConvertKit does. MailChimp has the automation that works, so you don’t have to. You can also organize them and tag your subscribers so you know you’re sending the right person the right thing at the right time. That’s very important in email marketing. MailChimp also integrates with other online software, which is important because you can’t do everything in one place. But MailChimp also offers a little bit more because like I said, they’re kind of a jack of all trades today and not just an expert in email marketing. So something else that they do is they can actually turn your emails and repurpose them into Facebook posts and Instagram posts that you can actually prep and get ready for posting right there within MailChimp. You don’t really need to go to Facebook or Instagram to make it happen. Something else that MailChimp offers, which it is an extra feature, but honestly not one that I’m a fan of, is they make it easy for you to design your email so you can do different pictures and headers and footers and images on the side, all that type of stuff. But I actually don’t like the look of this because to me it looks like those spammy emails that I get when somebody is having a sale or when a local business is shutting its doors and they want to liquidate everything. To me, it just looks very spammy. I like my emails to just have text. Maybe there’s a picture in it, but when you turn the entire email into something that looks like an advertisement, I tend to shy away and I lose interest for that reason. It looks like an advertisement, so if you want your emails to look like an advertisement, then you’ll like this feature. Me? I don’t want to be sold to any more than I already am, so I’m not a fan of this drag and drop design that MailChimp offers. ConvertKit has a few different options depending on how many email subscribers that you have. It starts at $29 a month and this will increase as the number of your subscriber’s increase. So for example, when you get up to 3,000 subscribers, you’re going to be paying $49 a month. When you get up to 5,000 email subscribers, you’re going to be paying $79 a month. With MailChimp, you can start for free and actually keep that free account until you have 2,000 email subscribers. Now obviously different things are included in the free account. Then the paid account. With ConvertKit, you get everything from the get-go. If you pay $29 you’re getting everything that ConvertKit has to offer in that $29 and then as your emails growl, your price increases, but you’re still getting everything again regardless of the price you’re paying. With MailChimp, you get different things depending on the pricing. So an example of this would be if you are using MailChimp’s free account, you only get access to their customer service or support for the first 30 days. So after the 30 days is up, good luck to you because you’re kind of on your own. If you need help with anything and if you want to know more specifically about what you get for what you pay for. MailChimp has an online calculator where you just put in the number of subscribers that you have and it’ll give you an idea of how much you’re going to pay for what you want. My vote is for ConvertKit and I’m going to share my affiliate link to ConvertKit here if you do want to try it out, but let me tell you why my vote is for ConvertKit. Because they are a master in this industry. All they do is email marketing and it was invented, created, just for bloggers and marketers. That is the basis of ConvertKit. That is all it does. MailChimp used to be the go-to because it’s all they did but now they’re not just in email marketing. They’re in online marketing… and as you know there is a whole lot under the umbrella of online marketing. So to me, MailChimp is a jack of all trades. If I’m looking for an expert in email marketing, I don’t want to go with a jack of all trades. I want to go with an expert in email marketing so that is why my vote is for ConvertKit. Plus, I’m not very techie and ConvertKit is like drag and drop, easy to understand. You always have access to their support. They have an online chat right there on the screen. They’re very quick about getting back to you. They also have a Facebook group for ConvertKit users where other people can help you navigate through your problems as well. Make sure you grab that affiliate link so you can try out ConvertKit. If you are thinking of switching from MailChimp or any other email software to ConvertKit, let me know again in the video which one you’re using right now or which one you’re thinking about using – MailChimp or ConvertKit. Again, I’ve used both. ConvertKit is the winner in this ConvertKit versus MailChimp video. If you like this video, please make sure to give it a thumbs up and subscribe to this channel where I posted videos just like this one every Thursday.